I often eat breakfast while doing a hundred other things in the morning so I don't have time to make a "real" meal and sit down to eat it. 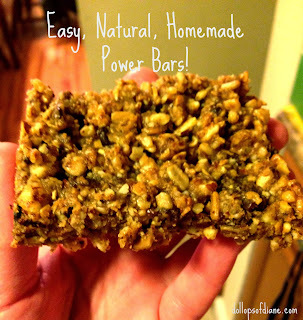 Therefore, I've grown to rely heavily on power bars (especially mornings that I exercise). I recently did a gluten free challenge and then a sugar free challenge which has opened my eyes to all the added ingredients in lots of products including my beloved bars. I briefly looked into making my own bars but got scared off when I saw lists of ingredients that I had never heard of never mind had in my house. Then my boot camp instructor made some and shared them and they were good. So I decided to bite the bullet and make some of my own this weekend by tweaking her recipe. I was able to find all the scary ingredients in the Natural/Organic section of my local grocery store without any trouble at all. So without further ado, I give you Diane's Nutty Power Bars which contain only natural ingredients and sugars. Preheat oven to 350F. Grind Walnuts, Almonds, and Sunflower seeds in a food processor. Transfer nuts/seeds to a mixing bowl. Add all other ingredients to bowl and mix well. Spread into a 8x8 (or similar size) pan and bake for 20 minutes. When you remove from the oven, bars will not be fully hardened/formed but will set together as they cool. Allow bars to cool completely before cutting into squares. There you have it - easy, peasy and yummy. 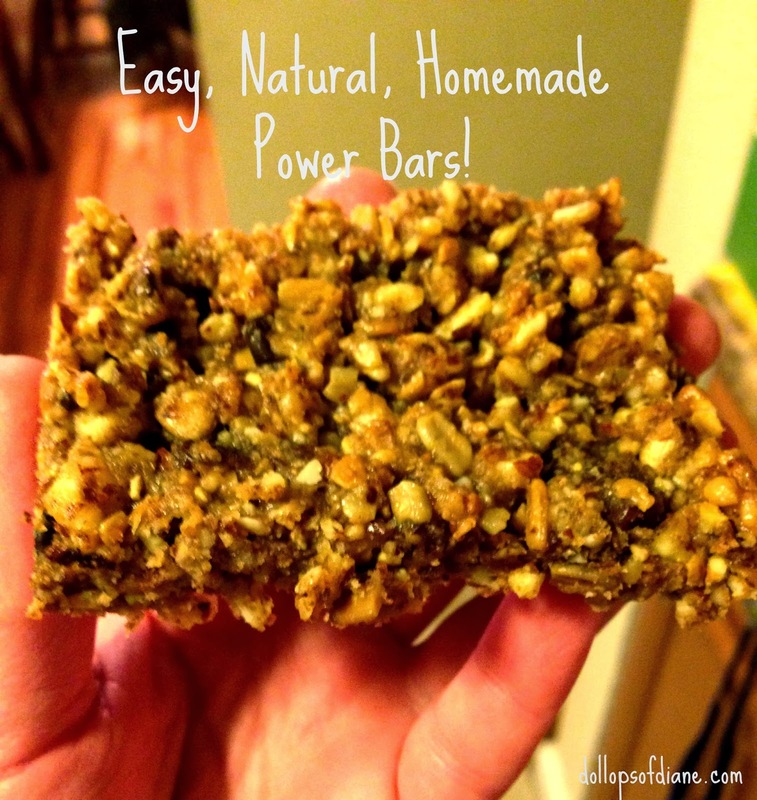 Do you have a power bar recipe that you love? Feel free to share!